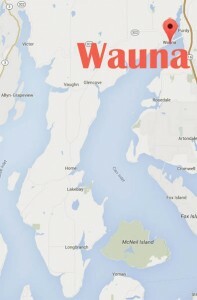 The town of Wauna (map) is located at the southwestern end of the Purdy sandspit. It is where the Key Peninsula begins and a land link between the Key Peninsula and Gig Harbor. The first bridge to the spit and Wauna was built in 1892. Wauna originally had a general store (the White Family Store) and a post office, with a long wharf that accommodated Mosquito fleet boats carrying goods to and from the isolated community. 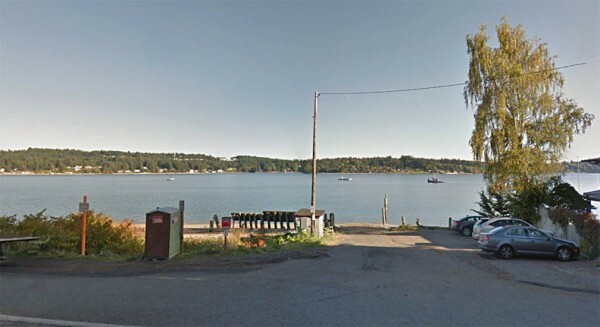 The general store and post office are long gone, but a thriving residential community now lines the banks. 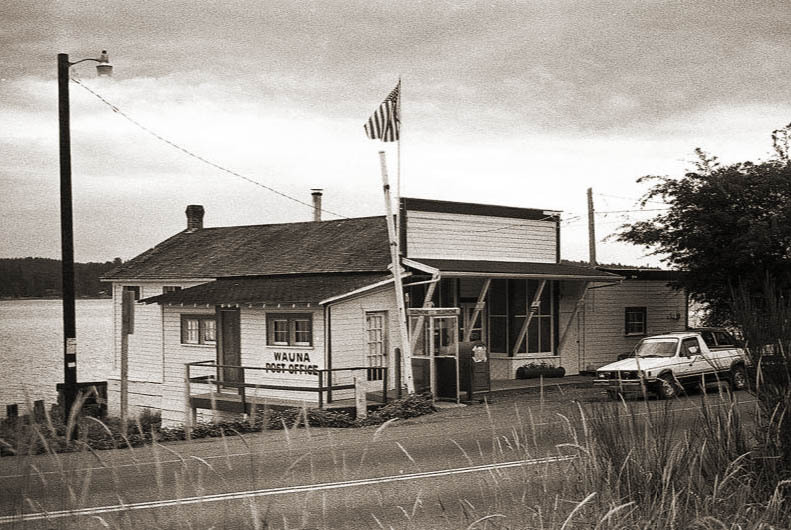 Site of the former White Store and Wauna Post Office.